If you want to protect your home from water damage, you should take care of your gutter system. We provide gutter repair service to Vaughan’s residents so that they can protect their houses from flooding and leakage of dirty muddy water. Our experts can solve every gutter-related problem, whether it is leakage caused by improper installation or failing joints, we can repair everything. We are Vaughan’s top choice for gutter repair services throughout the city and have been providing our services for more than ten years. We provide highly trained and friendly professionals having WSIB coverage. We are here to serve you and make sure that your gutters work properly so that you can fully enjoy your property. These failures lead to serious and complicated problems such as sagging, water leakage etc. 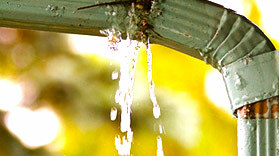 Leakage is the most common result of every type of gutter failure. Our team can repair leakages by mending the joints of affected sections. Our team is experienced in seam repair and elimination of all sorts of leakages caused by various reasons. Leakage repair stops many associated problems such as flooding, water damage and excessive moisture accumulation in the foundations. Home maintenance is not a simple process. Gutters are an important component of a home. It is important to regularly inspect your gutter’s performance. Ignoring a small problem such as sagging can lead to larger, and costlier problems. So you should get your gutters cleaned before they clean out your budget. To ensure that your gutters are working properly, get them inspected twice a year. NICK’S Window Cleaning technicians are experienced in eavestrough inspection and maintenance. Your gutters work efficiently, only if they are inspected and maintained regularly. Proper maintenance also increases their life. In winters, due to falling leaves throughout Vaughan’s territory, extra weight is added on eavestrough. It causes clogging and sagging of gutters. Large residential and commercial properties require more frequent inspection. There is more load on gutters of commercial properties as compared to normal gutters. You can not only contact us for any sort of guidance about our commercial service throughout Vaughan’s area. You only have to make a call and leave everything to us. Our experts will make sure that your gutters work at their full capacity. To ensure that your work is done without any damage to your property, you need to hire an experienced and reputed professional crew. We are the best choice for this work since our experts have more than ten years of experience in this field. We have the necessary knowledge, equipment and tools needed for repairing gutters. Customer’s satisfaction is our topmost priority. We provide our customers with fast, friendly and helpful workers who will respect them and their property. We believe in building long-lasting relationships with our customers. We also provide a free estimate of the work to be done. To make sure that your property is well protected from damp walls and unwanted moisture in the structure and foundation, your gutters should work properly and efficiently. However, it is not as easy as it seems. Never ignore a small problem related to your gutter because big problems arise from the smaller ones. 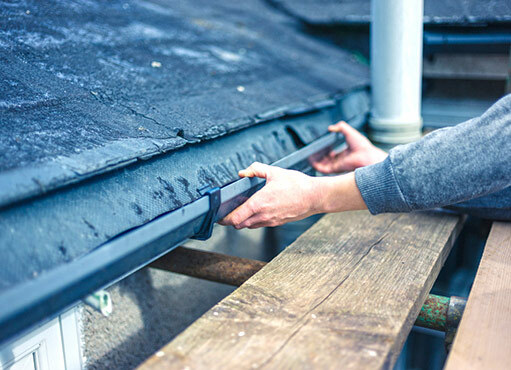 The people who think that they can solve the gutter problems by themselves only cause trouble to themselves and pose their property at severe risk. This is the job of experienced and professional workers who own the right equipment and have the right knowledge. We are a reputed and trust worthy cleaning service. We have been providing our customers with fast and efficient work with affordable prices for more than ten years. Every one of our workers is highly trained and skilled. We have all the latest equipment needed for our job. Our previous customers are highly satisfied with our work. So, don’t wait for your gutters to fail completely. And don’t think twice in contacting NICK’S Window Cleaning Service for both commercial as well as home purposes.